Quicker. And now even more compact. MANOSKOP® 730 Quick is now also available for torque ranges 4–20 and 8–40 N·m, which rounds off the lower end of this comprehensive product family for smaller torque ranges. Users benefit now, in the same way as the users of the larger family members, from much improved readability and quick setting. This is supplemented by a redesigned grip and its integrated thumb recess. As one would expect, MANOSKOP® 730 Quick meets all the criteria laid down in ISO 6789:2017. The new design of the scale mount prevents parallax errors, which speeds up accurate setting – even at awkward angles. Thumb recess integrated in the grip improves handling and grip when setting a different target torque. The ergonomically optimised convex handle promotes strain-free working and is resistant to oils, grease, fuels, brake fluids and Skydrol. Compact, light construction for smaller torques – and still with a broad torque range. Wear resistant trigger system with a flexible rod. 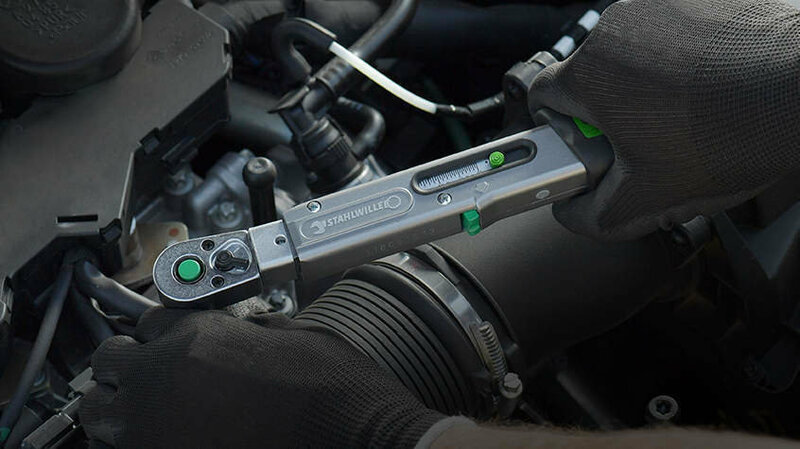 In contrast to conventional torque wrenches, it is not necessary to reset the wrench to zero after each job to unload the spring. As a result, users benefit from long-term accuracy and safe measurement results. Quick adjustment without disassembly of the torque wrench. Anticlockwise tightening by reversing the insert tools.